Have FIFA's 'reforms' actually changed anything? How much faith do you have in FIFA? Can we as fans really believe football's overlords are in it for the good of the game? Now the 63rd Annual FIFA Congress has been and gone - how much has really changed? It was a summit sold on its significance for world soccer's much trumpeted reform plan, but should we all have saved our air fares? Given Sepp Blatter invited us to the wonder that is Mauritius for this year's annual meeting of football's parliament, I feel it's only right to contemplate this question from the comfort of a sun bed, with cocktail in hand. These reforms came about after the cash for votes scandals and corruption that led Blatter to talk of stormy seas in Zurich two years ago. On Friday, world football's president said, "Hopefully FIFA is now as clear and transparent as the waters that surround" Mauritius. It is undoubtedly an island that can make your troubles go away, but it would take a considerable dose of sun stroke to make me believe everything is well at FIFA. Even before half the delegates had landed - quicker than you could say Sir Seewoosagur Ramgoolam International Airport - the issues of age limits and term lengths had been postponed by the Executive Committee. A sign that 77-year-old Blatter is indeed going to stand for a record fifth term of office? European football showed exactly what they thought of that - and abstained en masse from the vote. There are those who say that's indicative of the last two years. German journalist Florian Bauer told me this week, "Personally I wouldn't call it a reform process, because then you would ask where are the reforms?" He feels that while FIFA has said the right things on the surface, in reality little has changed. "They haven't even heard the proposals of their own advisers - the Independent Governance Committeee (the IGC). You're paying people, the IGC, to be advisers - then they're proposing things, but you are not acknowledging them. This was meant to be a reform Congress - the end of a reform process - now FIFA has changed its mind." FIFA reminded us courtesy of a natty graphic that the glass of reform is more half full than half empty in terms of what's been done. And it is true that there have been changes to the World Cup voting system, new integrity checks implemented, and a new code of ethics for the committee. 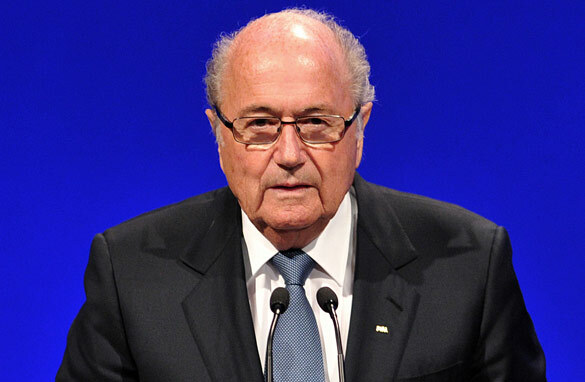 Blatter insists the process continues because there's more to be done. Surely that recognition should be applauded. IGC chairman Mark Pieth said "critics have to realize this is a self-governing reform, and FIFA is a complicated organization. We are confronted by the proverbial supertanker trying to change course." It was reassuring to hear him calling once again for transparency with pay and remuneration too. But the proof is in the pay checks. And whether or not we actually get to see them. Aside from the reforms - there have been some big decisions here in Mauritius. They've firmly drawn a line in the sand (beautiful sand it is too) in terms of passing the sanctions against racism and discrimination. But for me, FIFA's fight for credibility, and its battle to win back the belief of the football faithful, was summed up after eight and a half hours of congress - with one unscripted moment. The appointment of Burundi's Lydia Nsekera as the first full female member on the Executive Committee is long overdue. A moment to be celebrated. But as quickly as a new desk had been erected on the top table, Blatter messed it up with some silly sexist remarks. As ever with FIFA: One step forward, two steps back.